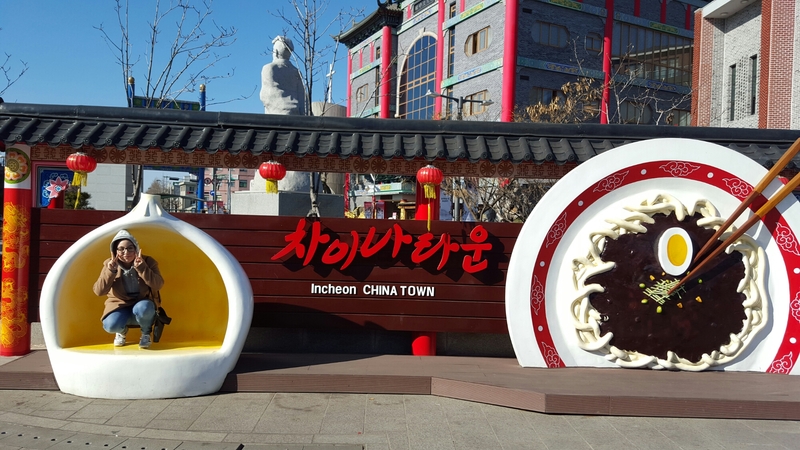 Today I spent the day with my friend in Incheon’s Chinatown and Fairytale Village! The were a lot of interesting sights and delicious food. 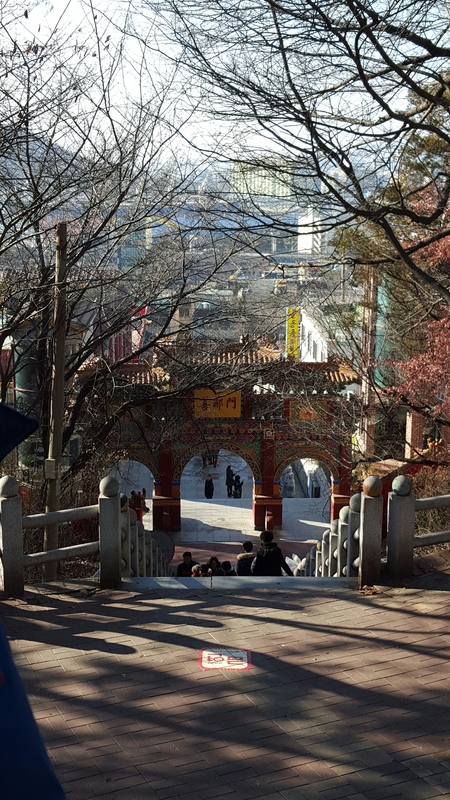 At the start of the Chinatown neighborhood, there is a large stone gate that welcomes you in. My friend and I found a map that had all of the important sights marked and we came up with a game plan for what order we wanted to see everything in. 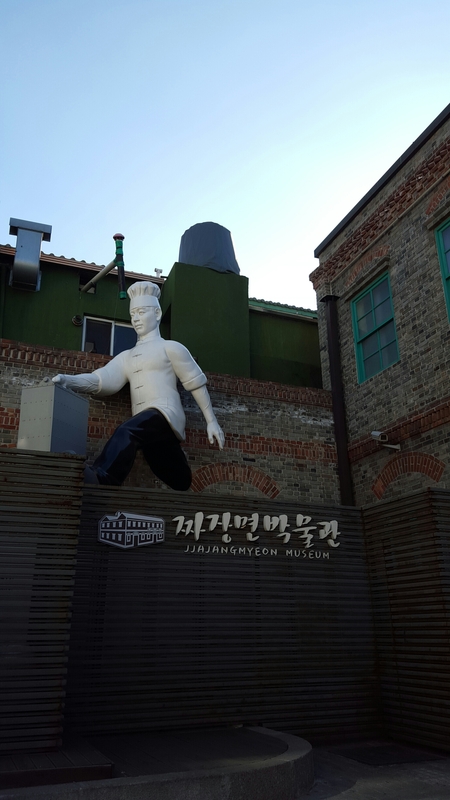 We started at the Jjajangmyeon Museum. 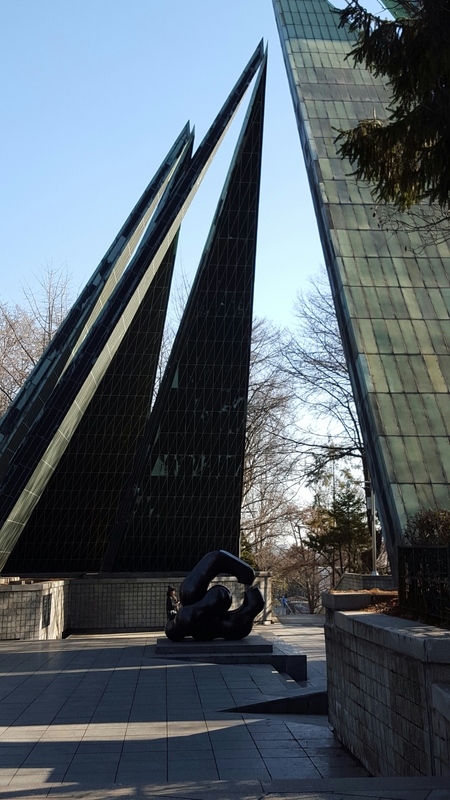 For just 1,000￦ you can tour this small but interesting museum! There were some interesting facts about how jjajangmyeon is made, how the cost has risen over the years, and how instant jjajangmyeon has changed. From there, we walked up a hill and found a cute little icecream shop. 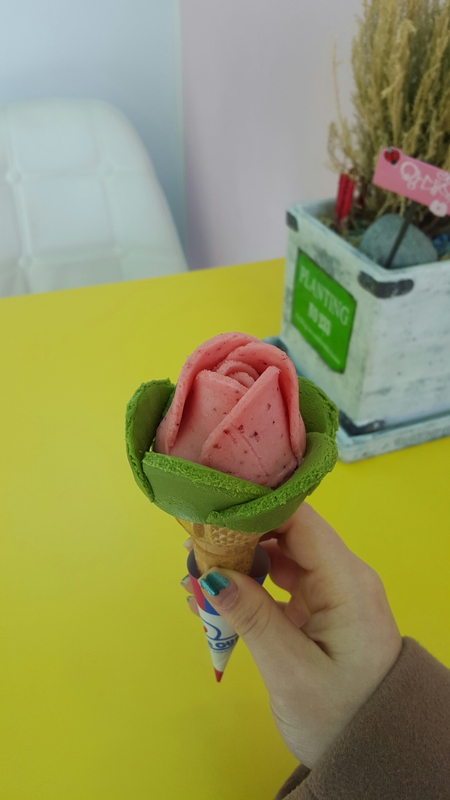 The shop, called 꽃봉자, is popular for selling icecream in the shape of a rose! 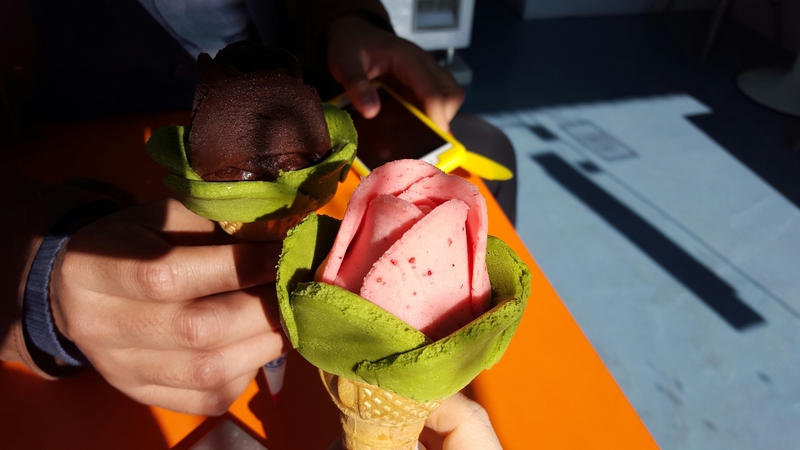 The shop worker skillfully molds slivers of icecream into the shape of a rose, making for a dessert that is as beautiful as it is delicious. I chose green tea and strawberry for mine. After enjoying our icecream, we walked further along the road where there seemed to be lots of popular food stands and restaurants. The lines of customers were sooo long! Lots of the food stands had little signs advertising the tv shows they had been featured on. Then we came to a long staircase that has been filmed in various dramas. At the top of the stairs, called Sky Hill, there is a really beautiful park with a grand sculpture and a view of the sea ports. 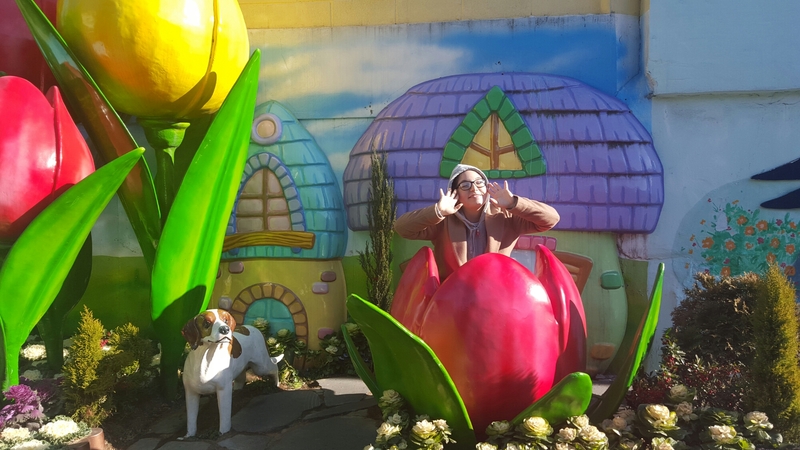 Right beside Chinatown is the Fairytale Village! 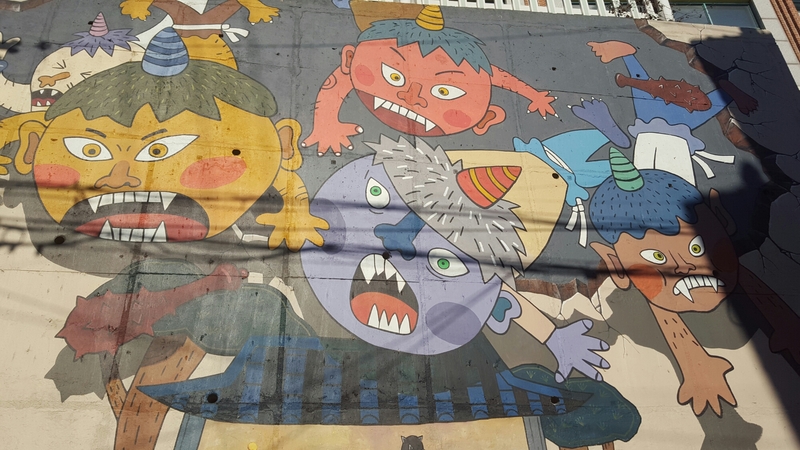 There are lots of murals and brightly painted buildings where lots of people come to take cute pictures. 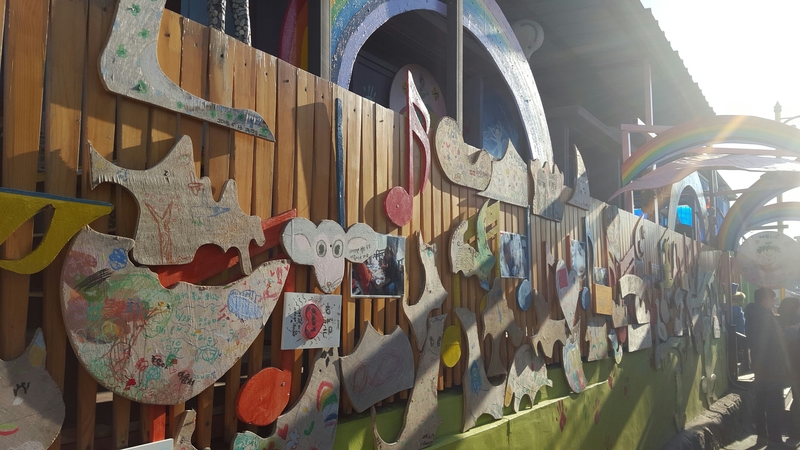 Everywhere you look you can see fairytale characters and even the lampposts are decorated with large sunflowers and cute animals. After lunch at a Chinese restaurant, we visited a really amazing cafe called Cafe Oz in the heart of the fairtale village. The inside of the cafe was decorated with two different themes. 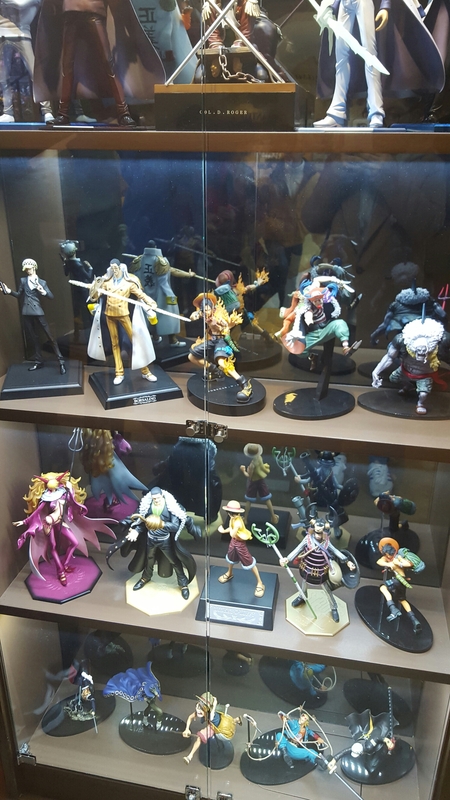 The first two floors were decorated with memorabilia from the popular anime One Piece, and the third floor was Wizard of Oz themed. 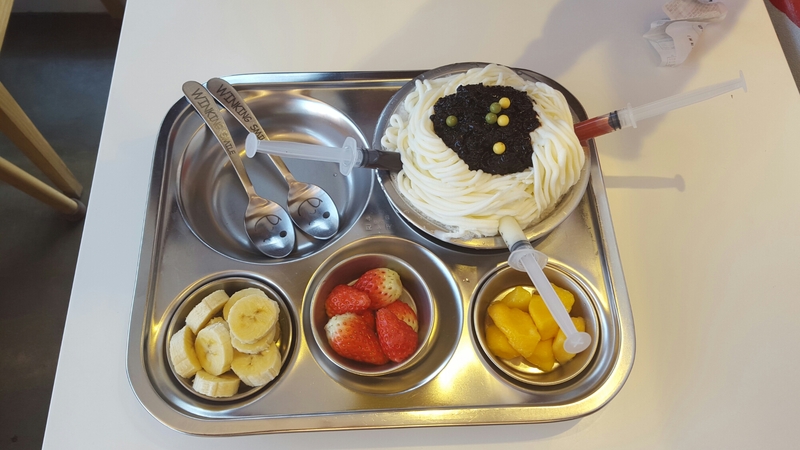 This cafe is famous for serving icecream bingsu in the shape of noodles. We ordered chocolate-flavored bingsu and it looked just like jjajangmyeon! With the extra syrups and variety of fruit, it was seriously delicious. 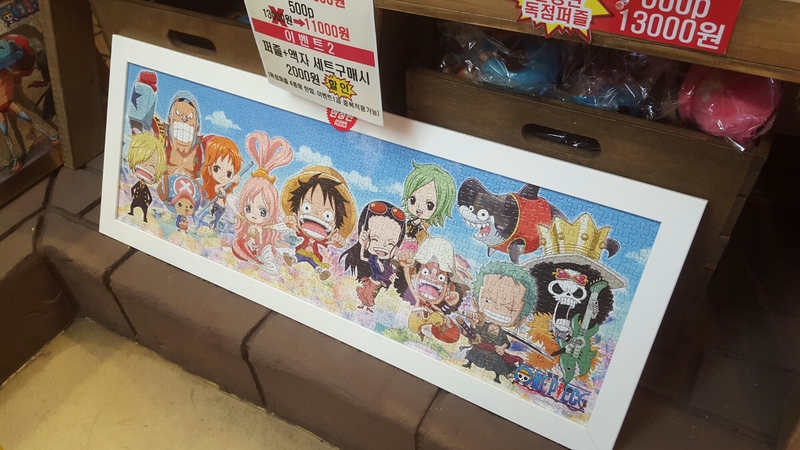 They also sell lots of One Piece, Naruto, and Dragon Ball Z merchandise, especially puzzles, so definitely check it out if you are a fan! 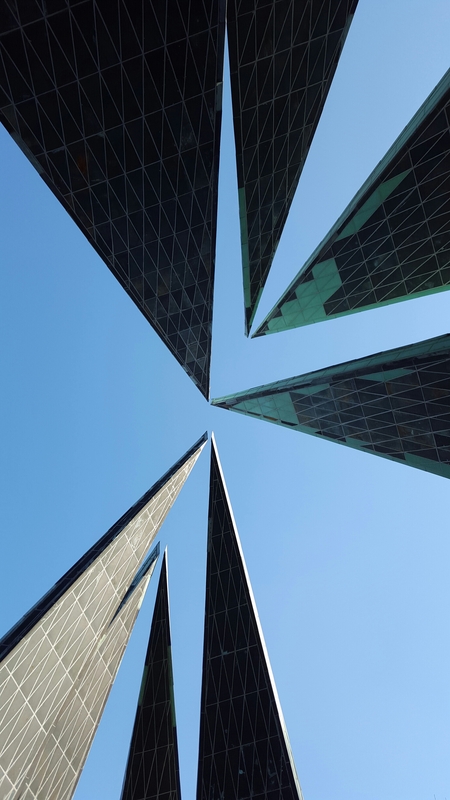 I had a great time in Incheon and it was a nice place to visit for a stress-free day trip. 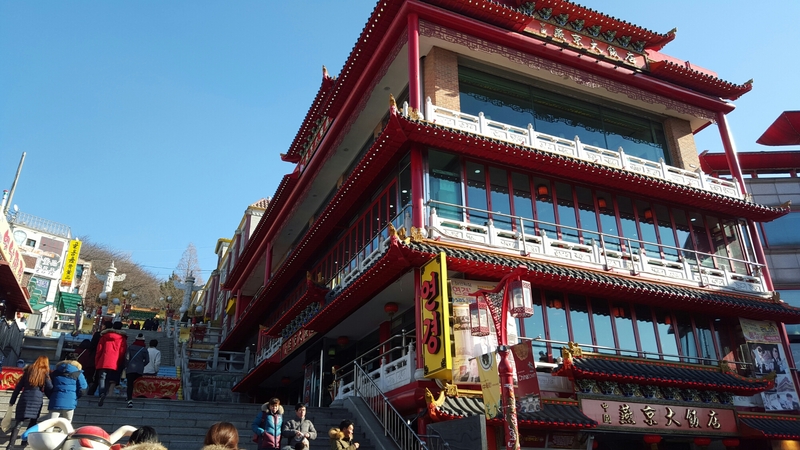 The Chinatown and Fairytale Village area is not too big to be tiring, and not too small to be boring. To get here from Seoul: take the dark blue line 1 towards Incheon. Get off at Incheon Station (it’s the very last one on the line). Exit 1 i think (the station is very small and currently under construction so there is only one way to exit). Cross the street and you’ll see the stone gate. Find the tourist map (posted on the sides of buildings in several places) in order to find the locations of all the popular sights. 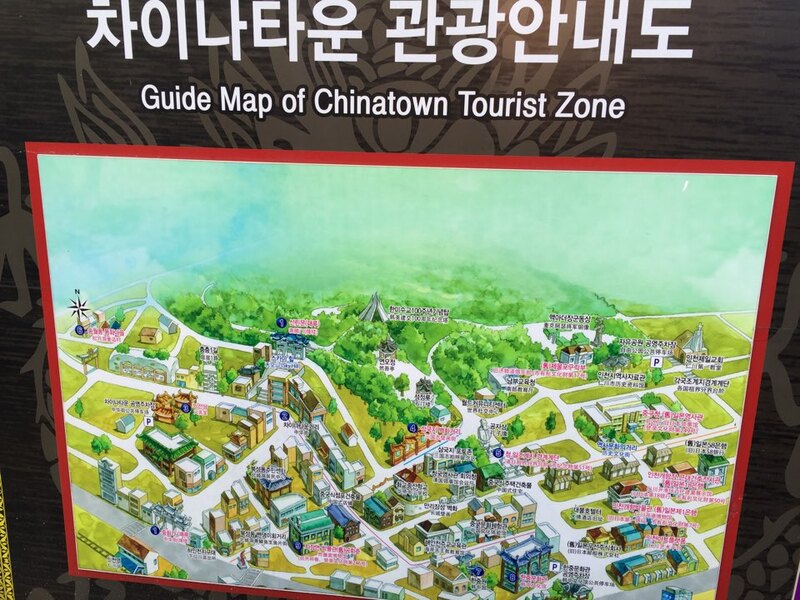 The map may be misleading in that it makes the area seem very large, but dont worry- the streets are quite small and it is very difficult to get lost. Have fun exploring!